Make your Thanksgiving celebration days as a center of fun, you need to give an interesting touch, which makes your Thanksgiving table display at the center of attention. 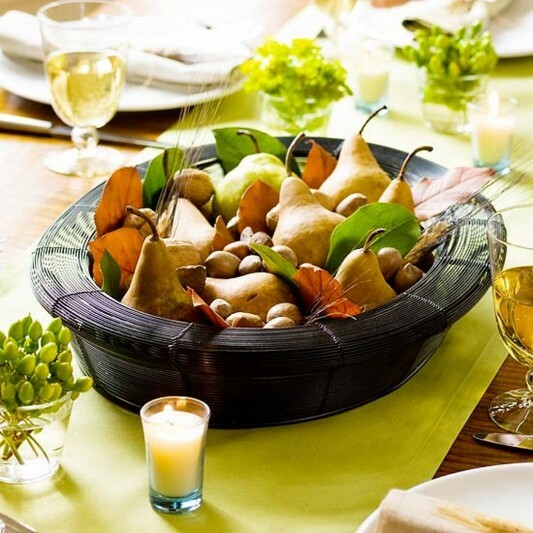 Below are some interesting ideas for creating your Thanksgiving centerpiece table decorations, among others, the first is placed in a wire basket centerpiece display, you can place the pears, nuts and fresh leaves are preserved in the basket, and creating an attractive appearance, with an elegant appearance combined with fruit and green vegetables, provides an interesting blend of freshness and a decor that still look elegant and beautiful. 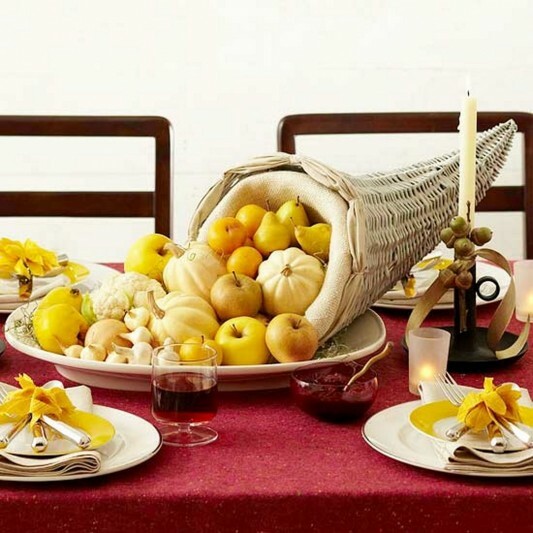 The next idea is a Cornucopia Thanksgiving centerpiece, giving an impression of an interesting classical and unique in the table display, with a blend of soft gray, cream and shades of yellow, which has a shape resembling horns. Then you can put on the plate, to provide convenience if you want to move and make room for placement of the turkey, inside you can fill it with fruit, apples, pears, quince, and cipollini onions. 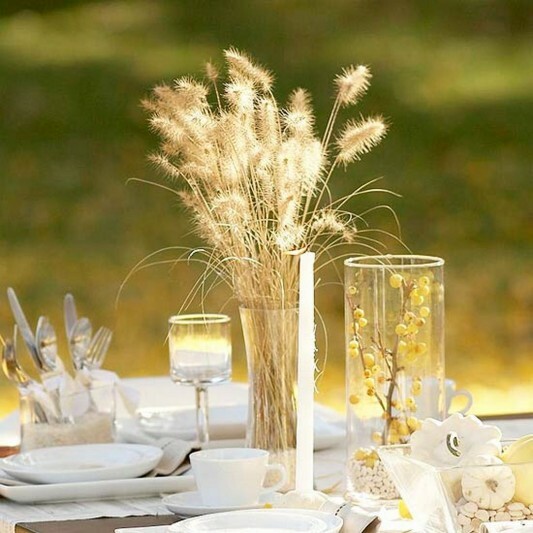 Next up is the idea of Thanksgiving table decorations with a touch of golden color, white and gold colors will look soft on the table, this can be combined with natural lighting. 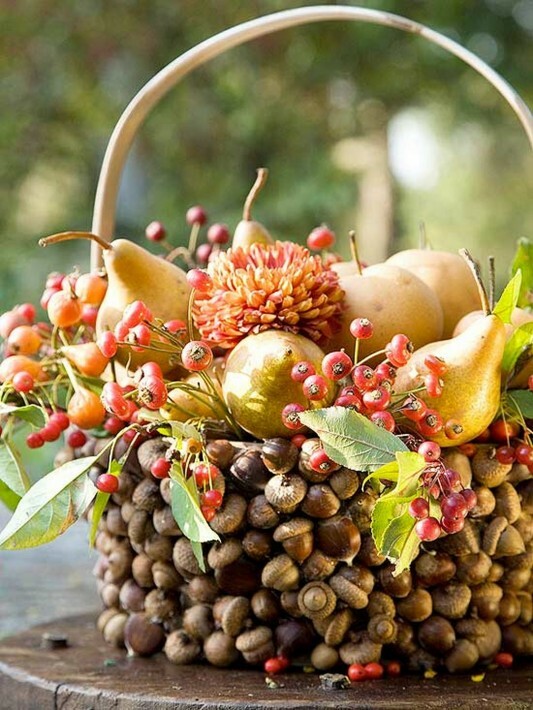 This idea you can put a vase filled with grain that add texture, with a more natural appearance, you can add berried branches of the crabapple tree Golden Raindrops on another vase, and make the Thanksgiving centerpiece looks more beautiful and natural. The next idea is setting the table for Thanksgiving main menu, such as turkey and so on, creating a perfect decorating and became a celebration of fun. You can present Thanksgiving favorite dishes such as turkey and sweet potatoes in a dish with fluffy white color that is simple, to put on the wooden dining table, it would seem a natural atmosphere. In this idea you can decorate a table with a pair of brown wax and use maple modest enough. Japanese-style flowers as a background set on the floor, creating a more pleasant atmosphere, and show your beautiful decorations. The last idea was to make acorn in a basket, with an attractive appearance. By compiling the grain into the basket, you can use a basket with a softer color and are more able to blend in with the beans. 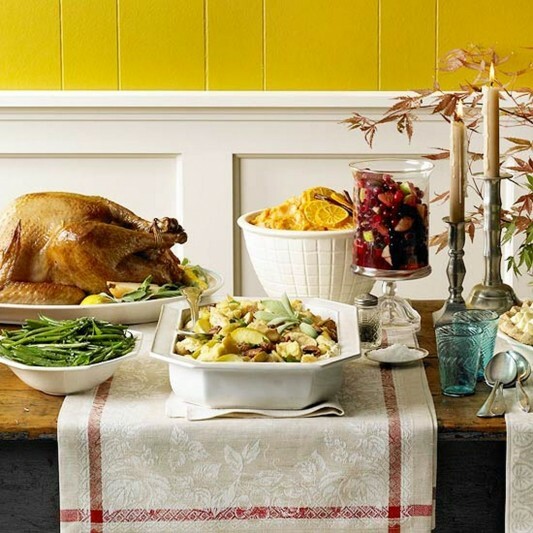 These ideas can be an inspiration you are, to create a Thanksgiving centerpiece of your display more attractive.